Screen Recording apps are used for creating “Show what you know” videos. The apps are basically a blank white board that records drawing along with audio narration. Usually images can be inserted into the videos and annotated. 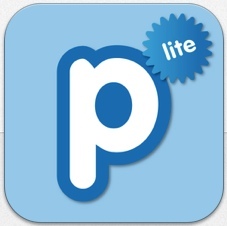 They are great for student or teacher created tutorials. Math- Students solve a math problem and explain their thinking. Science- Illustrate and explain various cycles: Water Cycle, Moon Phases, Life Cycle. Label and explain photos such as parts of plants, parts of cells, parts of an ecosystem Explain the steps in an experiment. SS- Place a map on the background and students draw/explain westward expansion across the United States. ELA- Retell a story. Storyboard a piece of writing. Create and explain a thinking map about a book character. Illustrate and recite poetry. 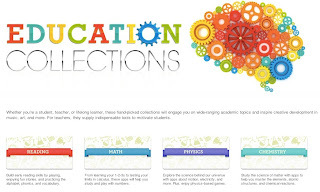 Other- Teachers create instructional videos for students and link or embed on their webpages. 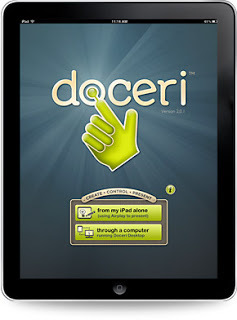 Doceri is my favorite screen recording app because it’s the only one I’ve seen that lets you save the recording directly to the camera roll. Once it's on the camera roll you can easily add it to Keynote or iMovie projects or email it. Plus there's no login required! Screen Chomp is another great option because no account is needed. Finished products are uploaded to the Screen Chomp website and you can copy, email, or Tweet the link. Show Me requires an account to share but one account can be created for the entire class. Then students are able to easily view each other's videos on their iPads through the app (without having to have a link to a website). Educreations also requires an account to share. Once the videos are uploaded to the Educreations website, the final products can be linked or embedded in a website or blog post. What’s your favorite screen recording app and why? Leave us a comment! Thinglink is a web 2.0 tool and an iPad app for creating interactive images. Educators can create a free upgraded account (using the link above) for unlimited uploads so it's easy to create a single class account that all your students use. First upload your background image. These images can be from the camera, the internet (be sure they're copyright friendly!) or students can create their own background image using PicCollage, Popplet Lite, Comic Touch Lite, Haiku Deck or any other app that saves the final product to the Camera Roll. Next add your pins. Pins can link to URLs or simply to text. Using the iPad app, pins can link to student created videos. These videos can easily be created in apps like 30Hands, iMovie, the camera, Doceri, Tellagami or any other app that saves a movie to the camera roll. The final product can be linked via URL or embedded onto a blog or webpage. 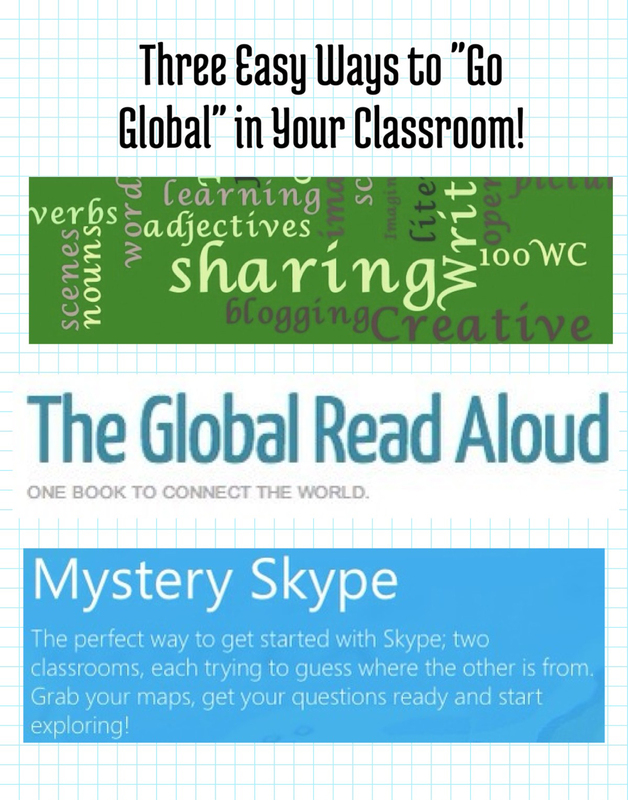 Here's my Thinglink with information from my last blog post on "Going Global". Hover over the image and pins to see the links and information. Have you used Thinglink in your classroom? Leave us a link to your creation in the comments below! Communicating and collaborating both locally and globally using digital tools are two important 21st century skills as well as a part of the Technology Applications TEKS for ALL GCISD students. Each week students are given a prompt (sometimes a picture and sometimes a phrase). Students around the world under the age of 16 write 150 word stories based on the prompt and post to a class blog. Students can then read the blogs and comment on the stories written by other students (both older and younger). It's a great way for students to get blog comments from outside their classroom and also a great way to encourage high level writing from your students. The Fall Global Read Aloud runs from September 30th to November 8th. There are four different books to read depending on your grade level: An Eric Carle Author Study for grades K and up, Marty McGuire by Kate Messner for grade 1 and up, Out of My Mind by Sharon Draper for grades 4 and up and Stupid Fast by Geoff Herback for grades 8 and up. Student read and discuss the book with classes around the world. 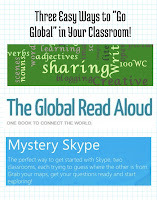 Connect with teachers and students via the Global Read Aloud blog and wiki, Edmodo, Skype, Twitter, Facebook or any combination of them all. You decide how much you want to participate. Mystery Skypes are a fun way to begin using Skype in your classroom. Two classes Skype, ask each other questions and use the answers to figure out where they are from. It's great for geography as well as research and critical thinking skills. Teachers can find classes to Skype with using the Skype for Education website (https://education.skype.com/collections/mystery-skype ) or via Twitter using the #mysteryskype hastag. Once a partner class is located, a list of questions is created (ideas here), students answer the questions for their community, student jobs are assigned (ideas here) and the Skype begins! Math - Diagram the steps in problem solving. Science - Brainstorm predictions prior to an experiment or use during the experiment to note observations. SS - Organize information about people, places and events in history. ELA - Use this tool with the planning phase of the writing process. Other - In any classroom, use to capture your ideas while you brainstorm and sort them visually in real time. Popplet Lite is my favorite due to the ability to add images (from the camera roll or internet) and drawings. Even though you can only create one in the free version, it is an unlimited canvas so students can move to a “clean” portion of the canvas to create their product without deleting other work. Idea Sketch has a neat feature that allows you to convert the map to an outline form and vice versa. You can use a variety of shapes and color code. The main drawback is that there is no option for images or drawings. Simple Mind is a very easy to use app for creating very simple mind maps. There are no options for the shape of the bubble and no option for adding images or drawings. Mind Mash is more like a drawing app. It’s like a blank piece of paper on which students can draw, type or add images. Venn Diagram is a free app from readwritethink.org. It is only for creating Venn diagrams but is free and simple to use. What’s your favorite mind mapping app and why? Leave us a comment! 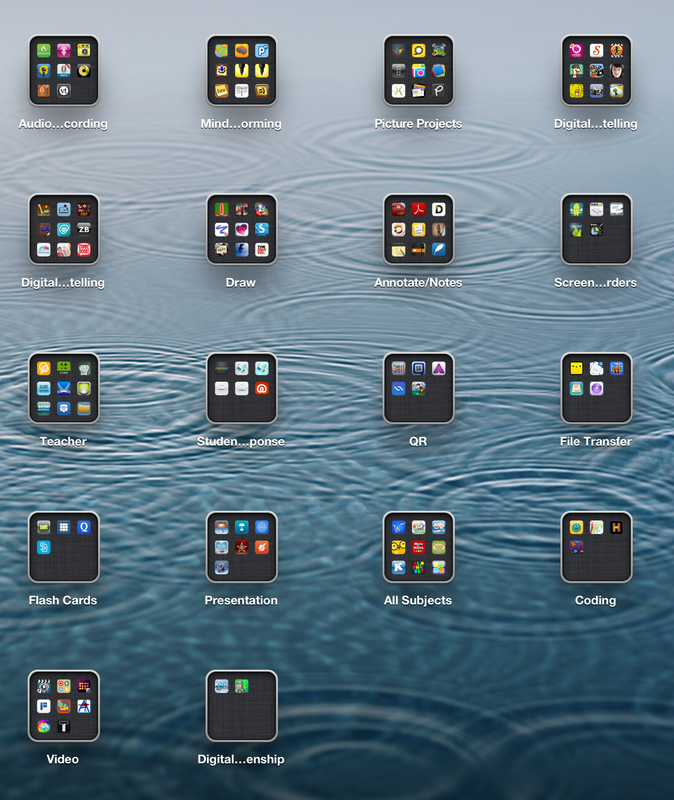 So Many Apps? How Do I Choose? Do I already have/know an app that addresses this same need? If yes, are there features I wish it had that it doesn’t? Maybe the new one has additional features to improve the final product. If not, stick with the one you already know and love! Is it easy to use? If it takes too long to figure out the app, you have to weigh the amount of time invested in learning the app vs. the benefit of the final product. Can the same result be achieved more easily with another app? Does the free version accomplish everything I need it to? Some free versions only allow for a specific number of products to be created or only have limited options. 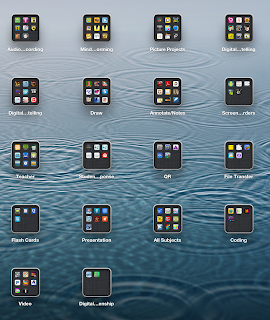 Our GCISD Training Wiki is a great place to find apps for a particular product. Each of our recommended apps has its own page with a description, link to the app store, tips, tricks and ideas for using it in the classroom. 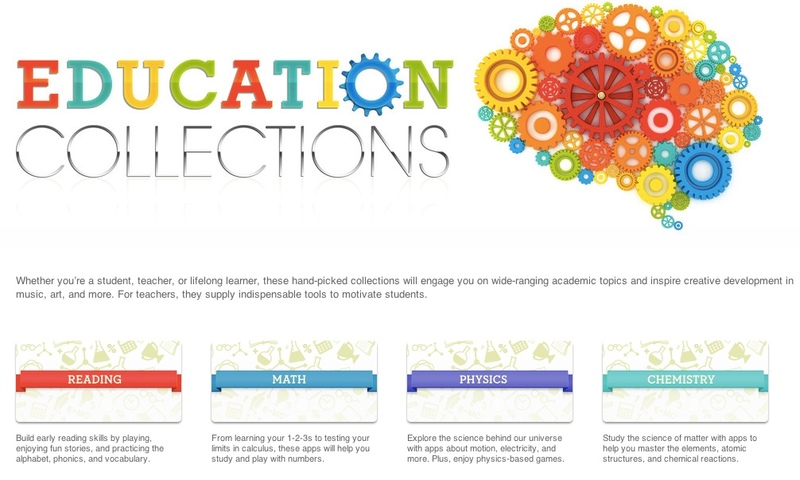 The iTunes store also has a great section called Education Collections for finding specific education related apps. Over the next few weeks I’ll be sharing the app categories that we regularly use in GCISD and my favorite free apps in each one.